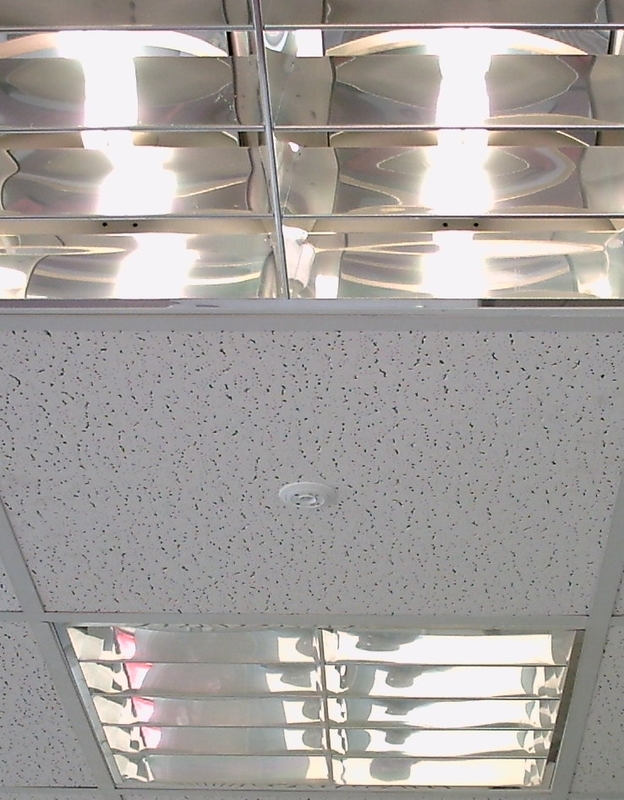 You can install the ecos sensors in 4 different ways into (or onto) the ceiling. This is the easiest and quickest installation option. 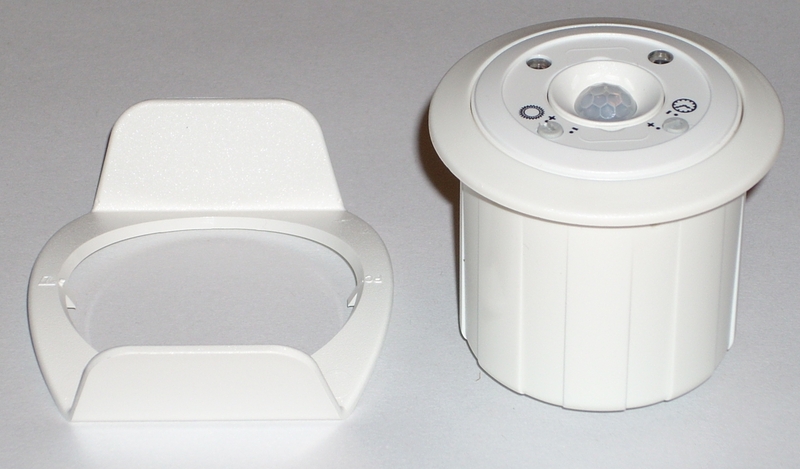 Each sensor comes with a white plastic clip which fits onto the sensor body from behind. It then holds the sensor firmly in place. 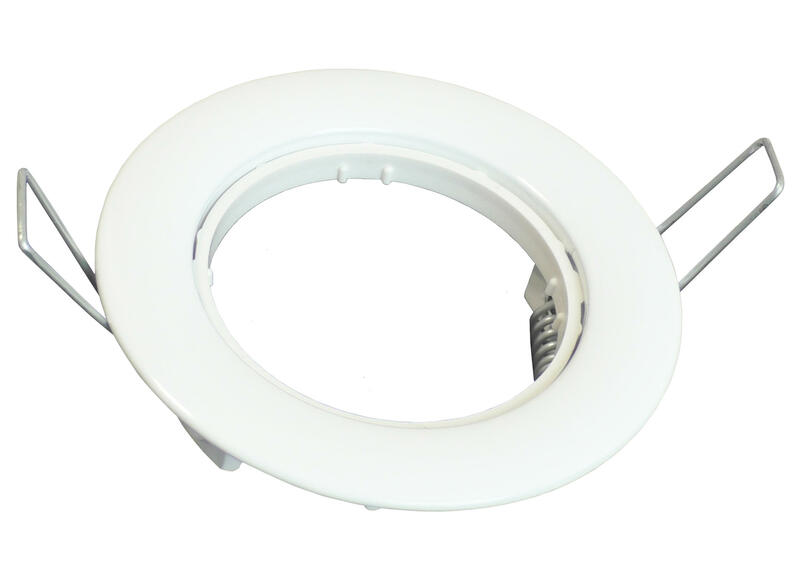 To accomodate a wide range of ceiling thicknesses, the ring can be placed onto the sensor body in both directions. 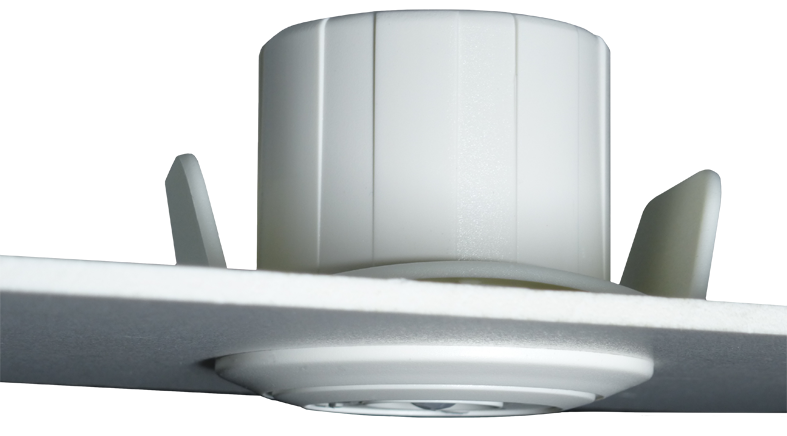 This installation type requires that you can actually reach the rear of the sensor with one hand. 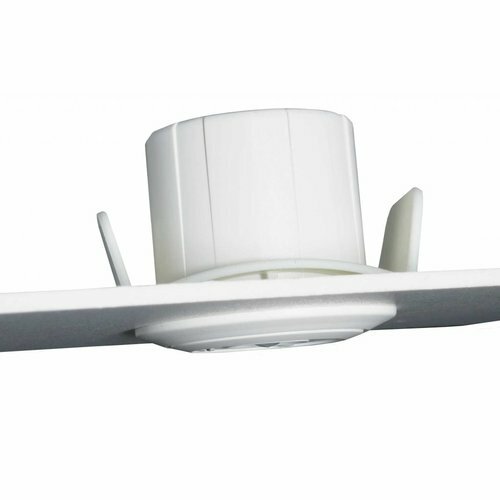 This standard clip is always supplied with each sensor. 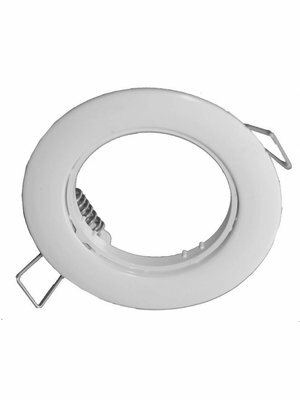 When you can not reach around to the rear of the sensor in order to slide the plastic holding ring on, the sensor can instead be mounted with an additional ceiling clip ring with two springs. 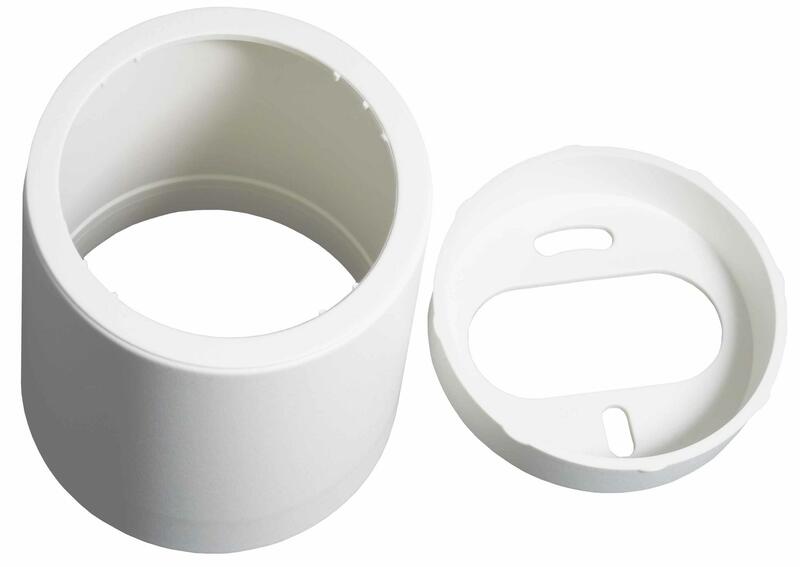 The sensor is inserted into this ring following the electrical installation. 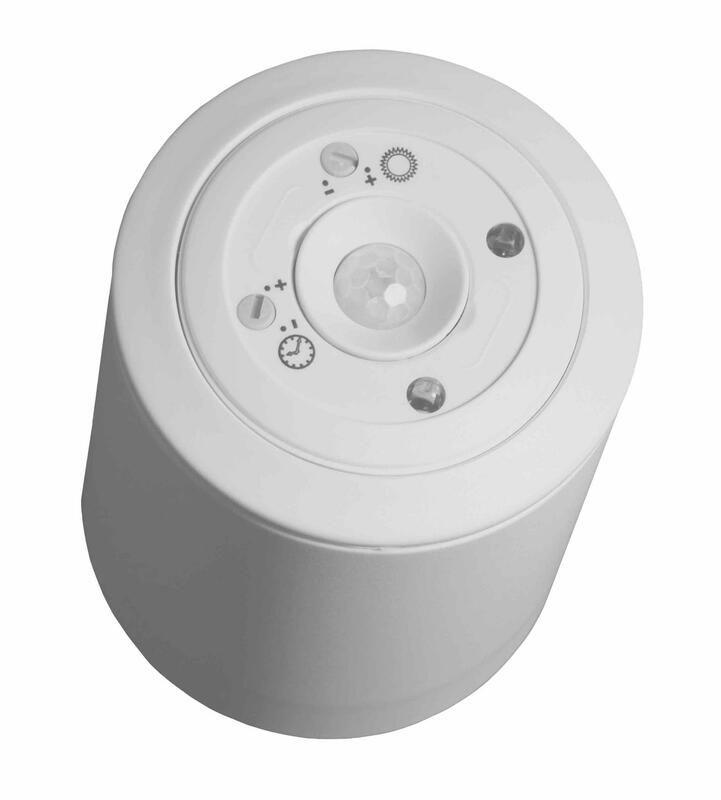 In new buildings with concrete ceilings, the ecos sensors can be installed in concrete canisters. 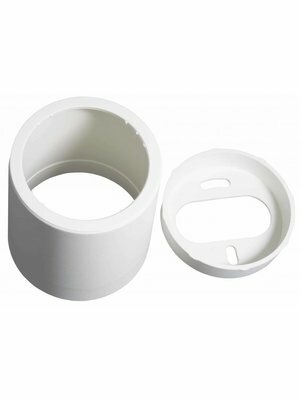 We can offer cover caps for this application. 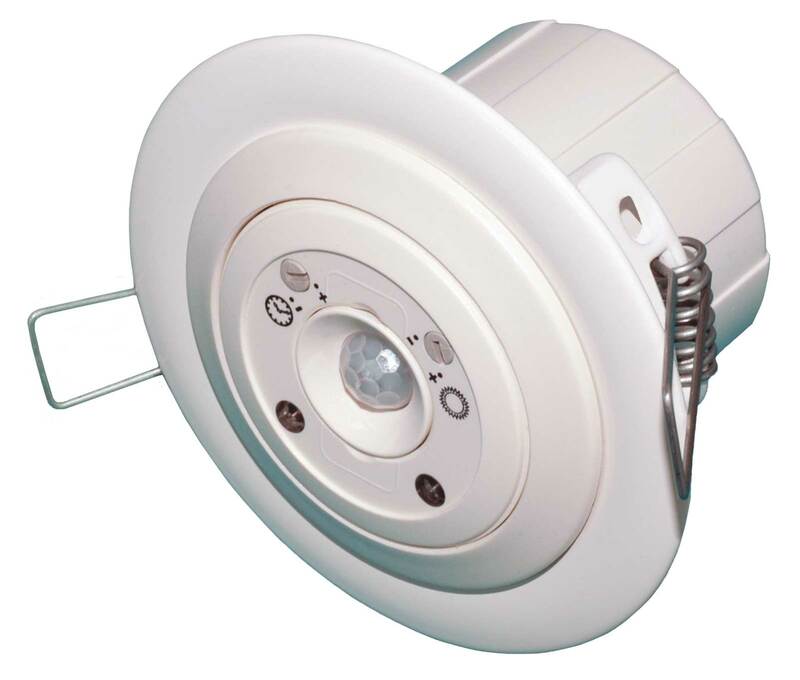 Please contact us for more details: info@epvelectronics.com.